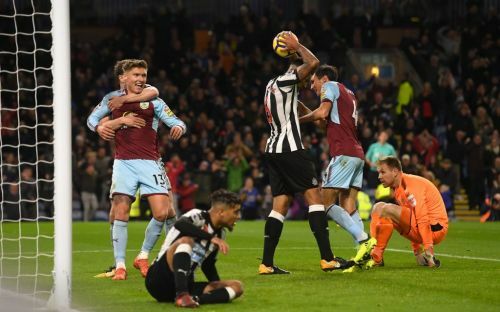 Sky Sports pundit Jamie Carragher summed up why Newcastle United would go on to lose to Burnley at Turf Moor on Monday night, and why they will continue to lose more games of that type than they will win. Working on Sky’s coverage, the very first piece of analysis Carragher brought forward was on the Magpies’ defensive stats under his former Liverpool boss Rafa Benitez. By help, of course, Carragher meant in the transfer market; there has been a lot made of the strain between Benitez and the Newcastle board over the summer, and thankfully for the adoring fans whom he has reconnected to the club almost single-handedly, talk of a mega-money takeover has reduced the amount of speculation linking him with a dramatic exit from St James’ Park. There is a stigma around managers like Benitez, who get labelled ‘defensive’ as some sort of derogatory term when in reality, they build from the back. Given the right funds to spend, Benitez wanted a side who could compete at both ends, but the minimum requirement in the Premier League is to be organised, committed and hard to beat. The gulf in class from top to bottom means most teams set up not to be beaten first and foremost; Burnley are no different and it soon became clear that one goal would be enough either way on Monday. At that time, some criticised Benitez for a clear lack of faith in his squad, but the fans appreciated his honesty, something his predecessors did not offer on a regular enough basis when they were in charge. As Carragher said, the defensive set up; the deep defensive line and moving in tandem, are trademark Benitez, but in attack he needs more than his current options can offer. There wasn’t enough pace going forward; Christian Atsu and Matt Ritchie were too far away from Ayoze Perez and Joselu, both of whom were struggling to make any sort of impact. The story was the same against Huddersfield and against Brighton but it worked in Newcastle’s favour only last week against Crystal Palace. That is just the state of play in the Premier League. Often, games are a battle, falling mainly on a mistake or a sporadic piece of quality, and as the home team is under slightly more pressure to attack, it is they, more often than not, who come out on top. Chances were far and few in between, and it ended up being another game which hinged on the glaringly poor error of not strengthening more in attack, be it with a proven striker or a creative midfielder. As always, Jonjo Shelvey found himself under a lot of pressure to deliver that spark and it was him or no one. Atsu looked lively early on and could have grown into the game, but he was too cut off and any chances he did get he struggled to make the right decision. Benitez had spoken about being compact in defence and quick on the break; that meant quickness of mind. There was always at least a second of hesitation whenever they managed to break through the wall put up by Jack Cork and Steven Defour in the Burnley midfield. James Tarkowski and Ben Mee, who have the best blocking statistics in the Premier League, found it easy to mop up anything that came there way. Injury, rather surprisingly, ruled Mikel Merino out of the game; he hurt his back before the team was named and that dealt a real blow to Benitez’s plan. Mohamed Diame deputised, and despite his rather chequered reputation with fans and even some teammates, it was easy to see the logic in choosing him over Isaac Hayden. As a number ten, Diame has been largely ineffective in a Newcastle shirt, but he has found a deeper role when coming off the bench much better this season. Late spells of good play coincide with his introduction onto the pitch, but he reverted to type alongside Shelvey. Everybody struggled to keep hold of the ball, but Diame was largely a passenger throughout. There are two ways of looking at this result. One is to say it doesn’t have much of an impact on the season so far; with Newcastle in ninth, that is fair. But the worrying trend of offering little in attack away from home opens them up to more defeats like this over the course of the campaign. Failure to sign a top striker made these games even more crucial, yet even more likely to be lost. It is patently clear that Jamie Carragher was right, Rafa Benitez still needs help.